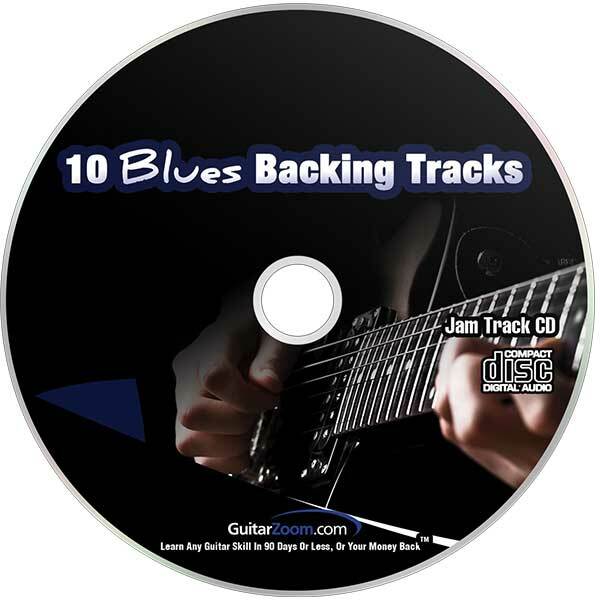 10 high-quality blues jam tracks in popular keys. 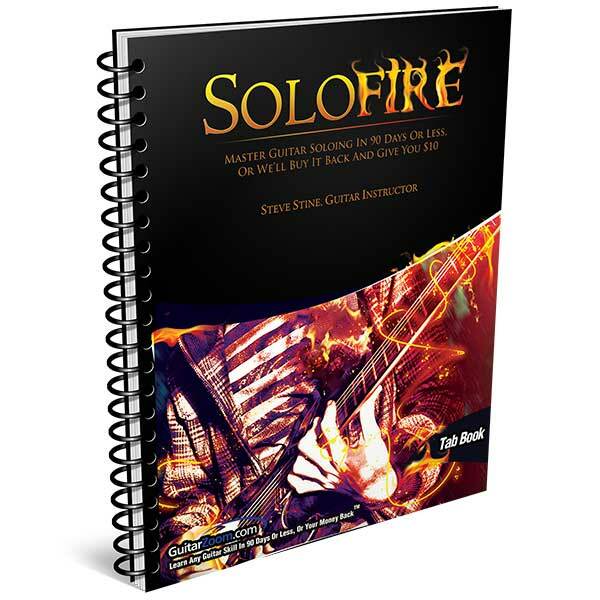 Use them to practice soloing, so when it comes time to play with other musicians, you’ll be ready to solo with confidence. 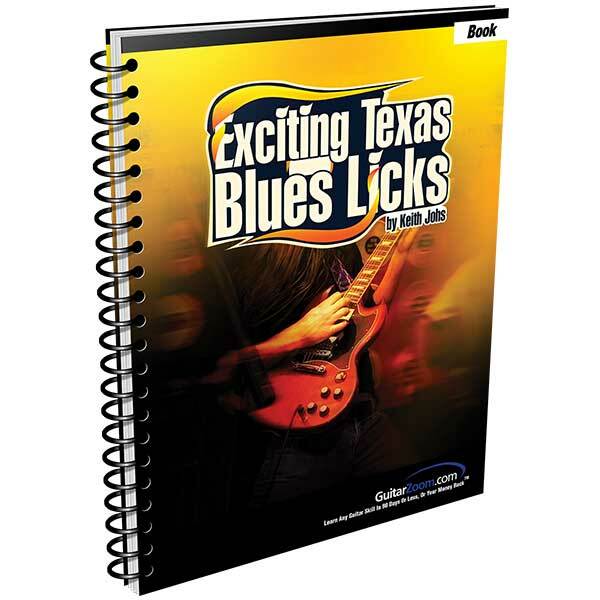 Discover how to play 26 Texas blues licks made famous by Freddie King, Albert Collins, T-Bone Walker and Stevie Ray Vaughan. 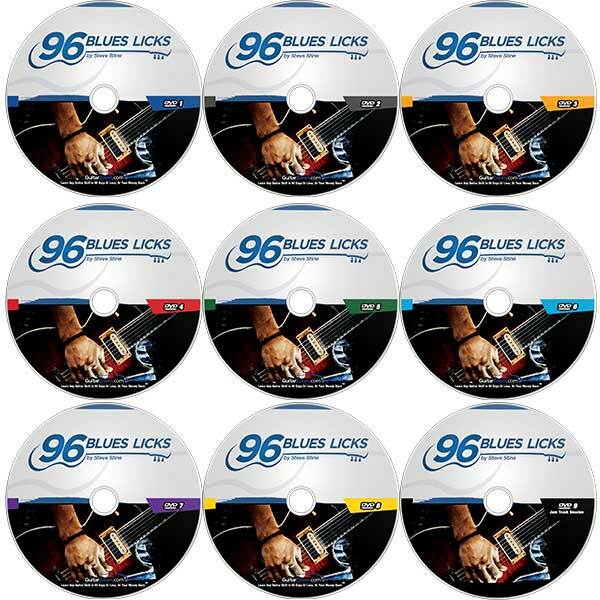 96 blues licks in the style of legends like Eric Clapton, B.B. 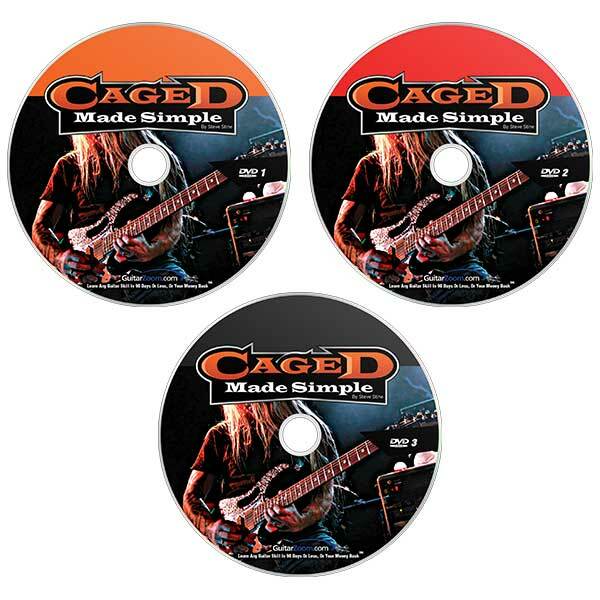 King, Buddy Guy and Jimmy Page. 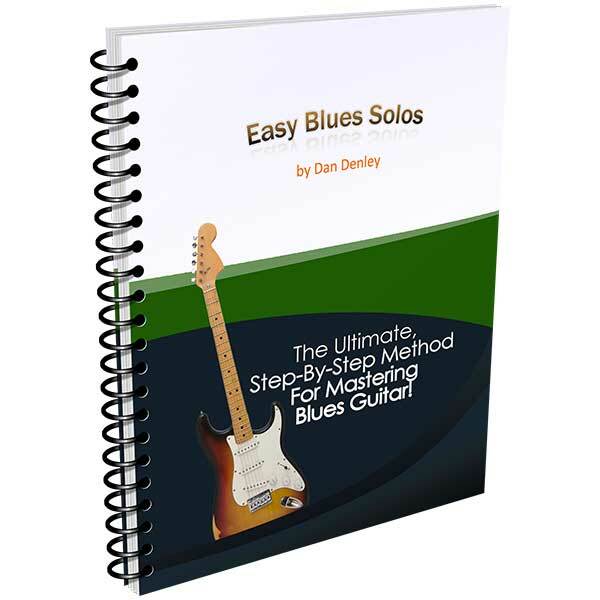 So you can play soulful blues solos dripping with mojo. 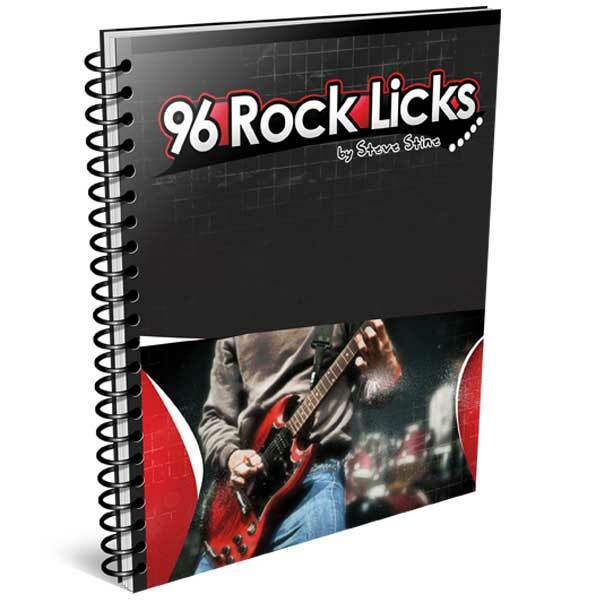 Discover how to play 96 rock licks in the style of legendary guitarists like Jimi Hendrix, Randy Rhoads and David Gilmour. 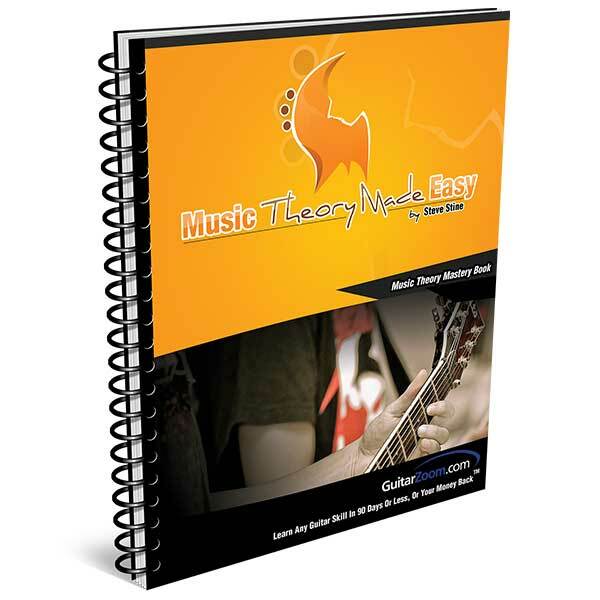 Plus you'll just enough theory that will reveal 3 simple chord progressions that make it easy to play thousands of songs by ear without having to look up tab. 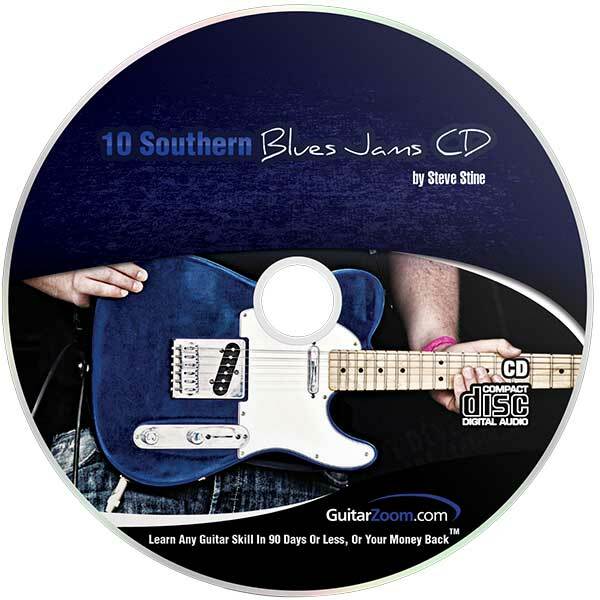 10 high-quality southern blues jam tracks in different keys. 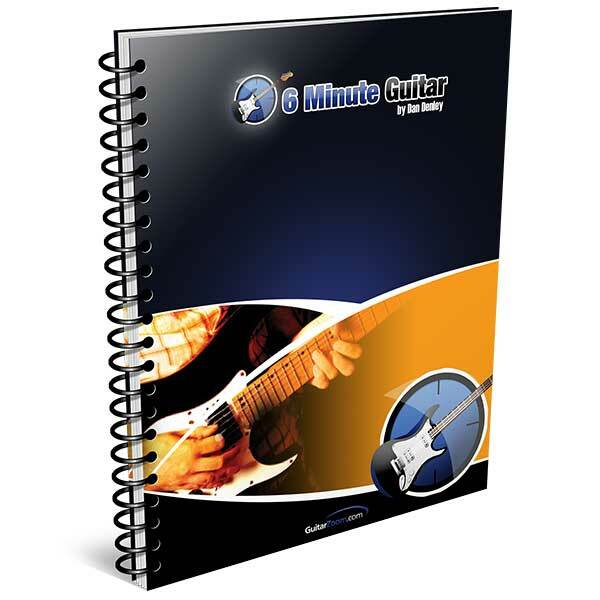 Use them to practice soloing, so when it comes time to play with other musicians, you’ll be ready to play with confidence. 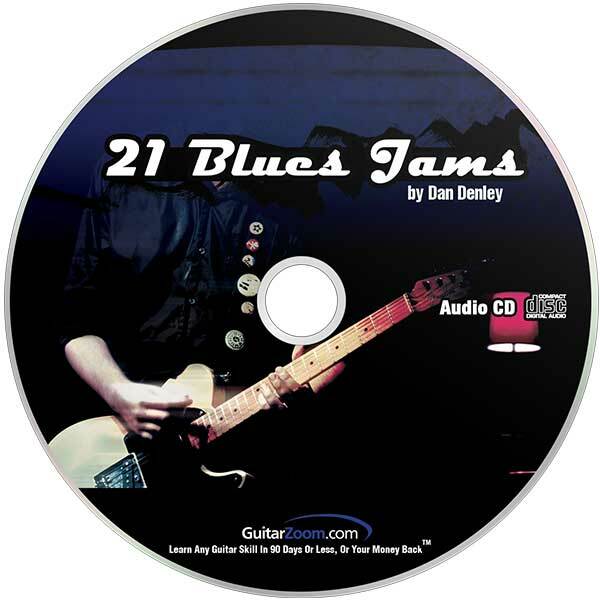 21 high-quality blues jam tracks in different keys. 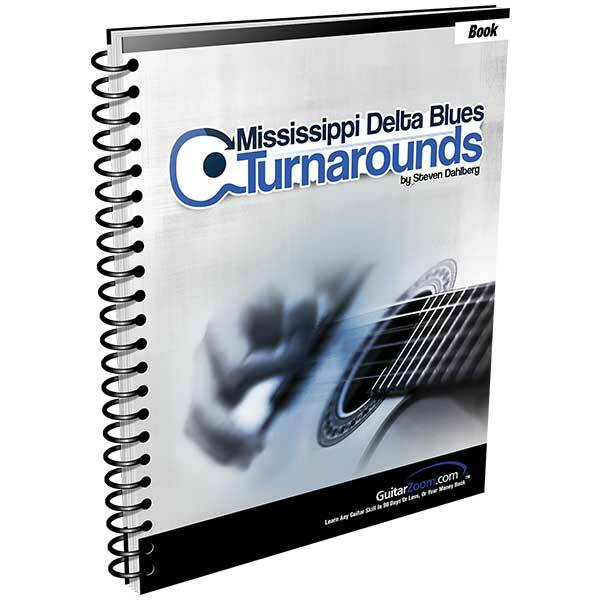 Use them to practice soloing, so when it comes time to play with other musicians, you’ll be ready to play with confidence. 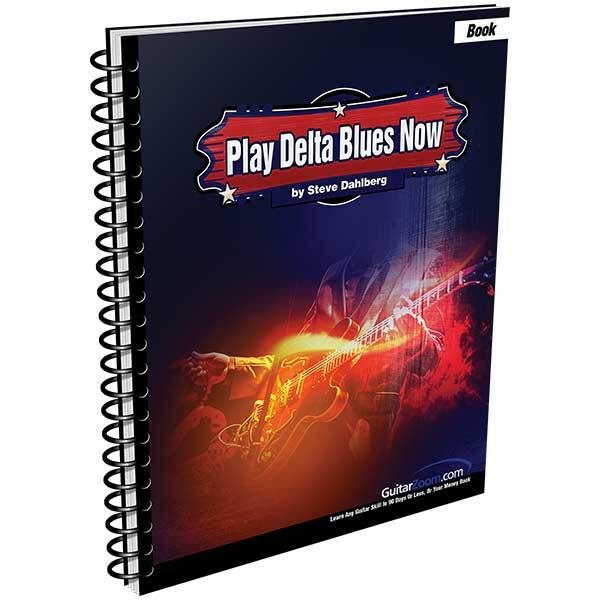 Learn awesome minor pentatonic licks and playing techniques for more creative blues solos. 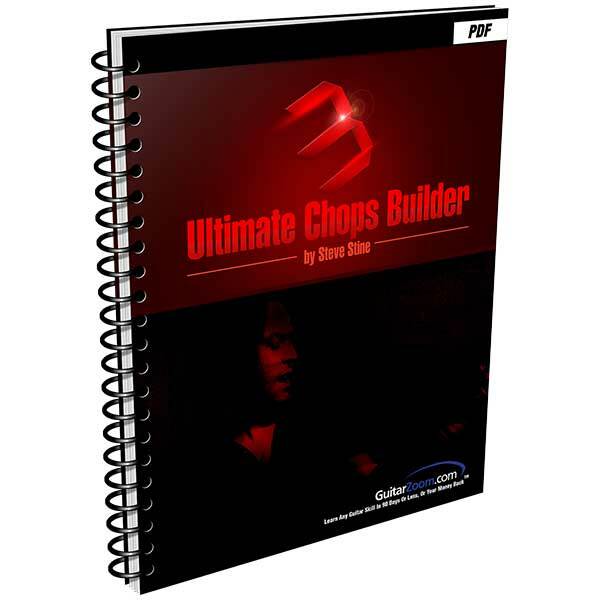 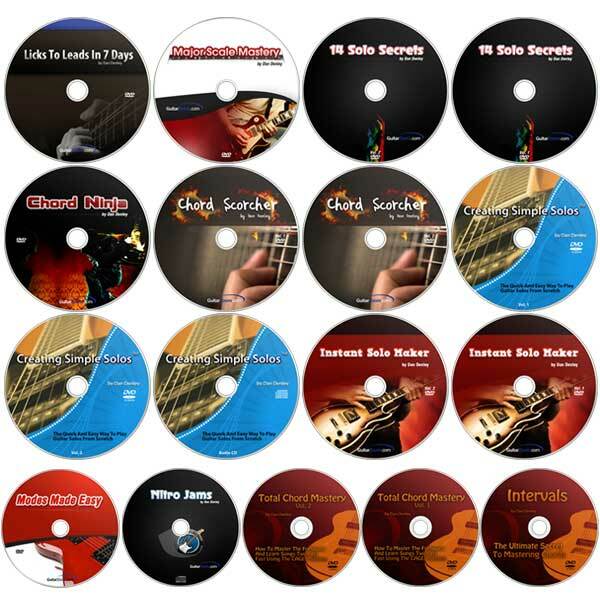 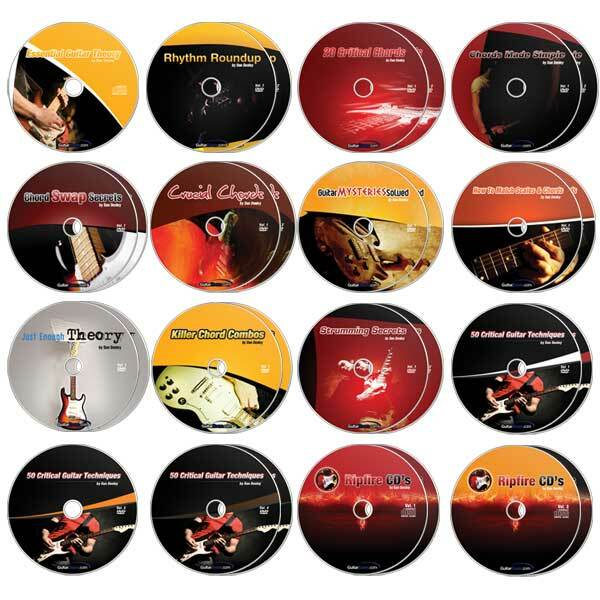 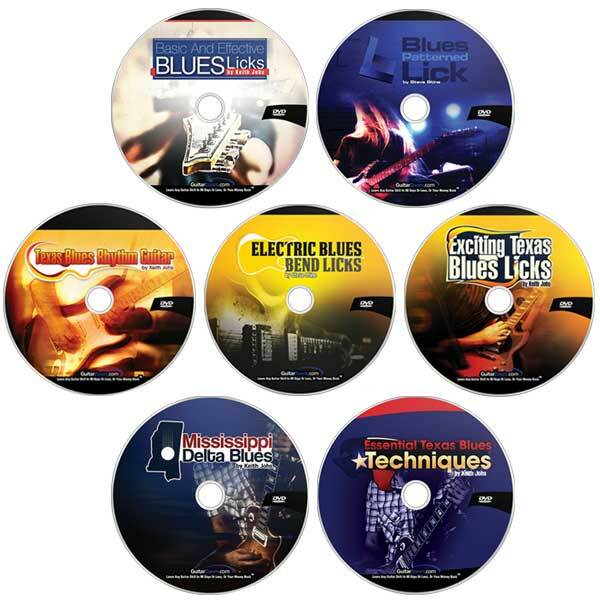 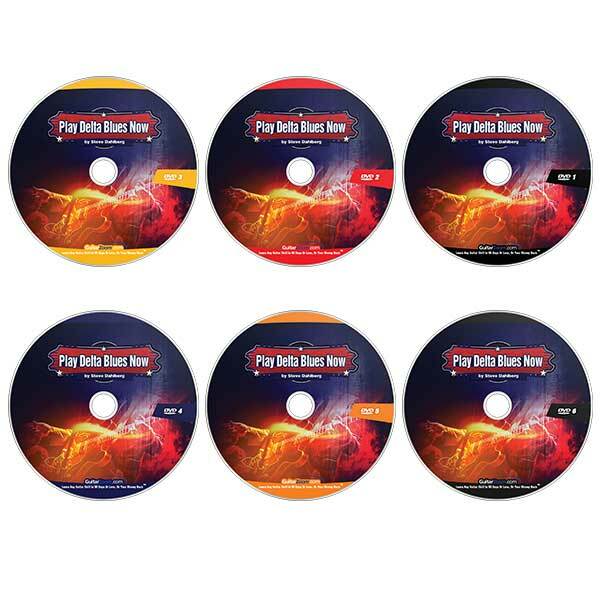 7 Blues Courses in 1 ultimate blues bundle that will get you from “good” to “great” almost overnight. 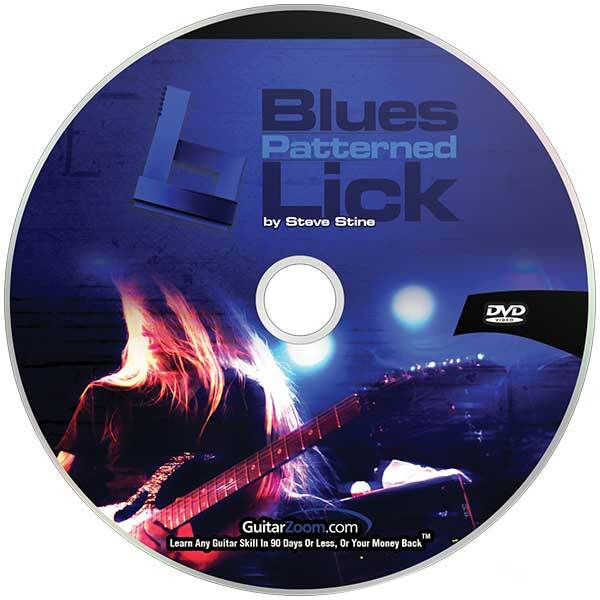 Discover patterned blues licks that not only sound awesome but also add more color to your blues solos. 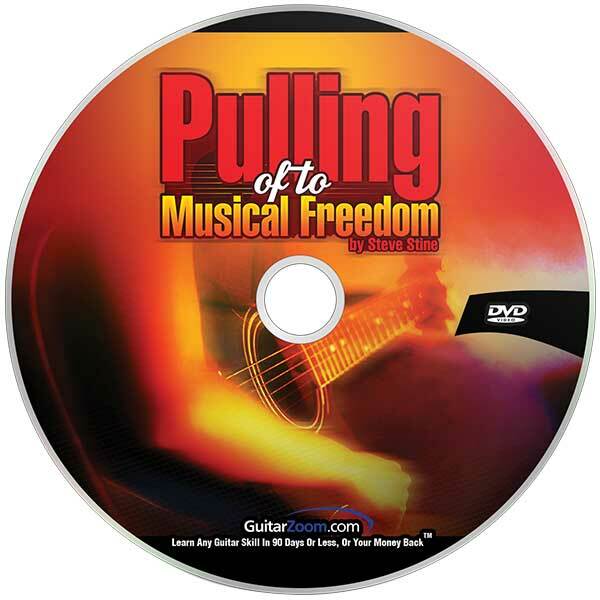 You’ll discover how to play the traditional spiritual “Michael Row Your Boat Ashore” and get a breakdown of country blues techniques such as "stride" bass and ragtime-style guitar playing. 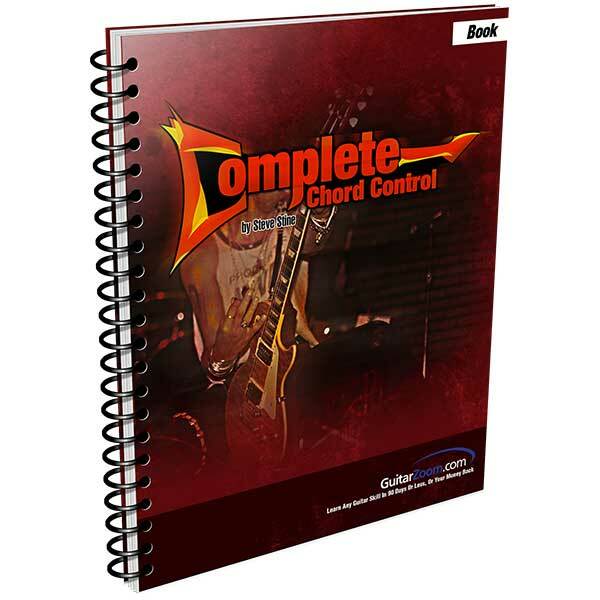 Discover simple tricks to nail chord changes and build scary speed and accuracy. 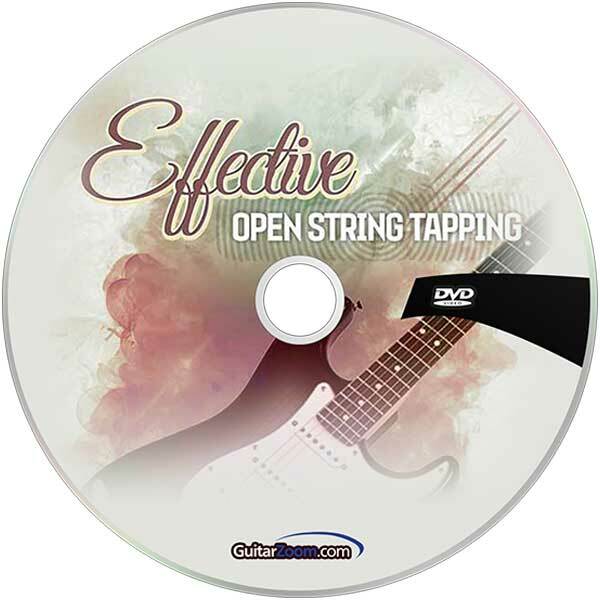 You’ll overcome dead notes and fret buzz because your fingers will glide effortlessly over the strings and always hit the right notes. 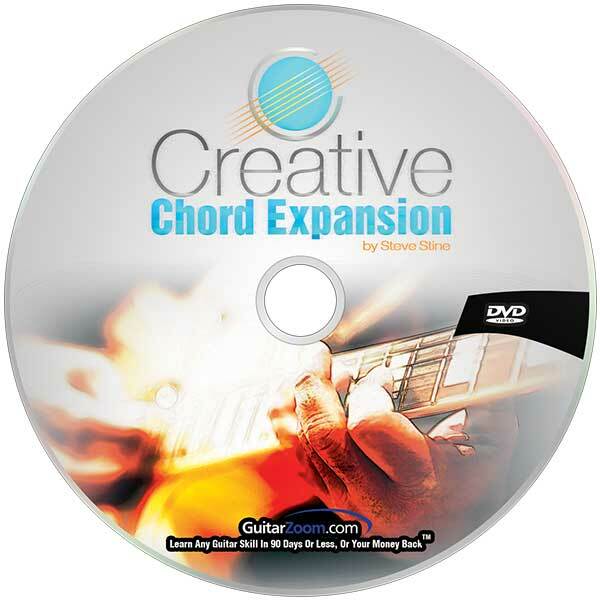 Instantly boost your chord creativity. 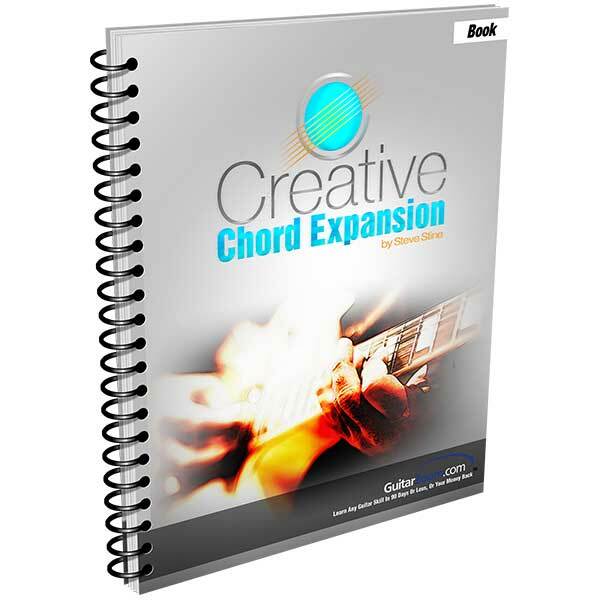 So you can play exciting chord progressions that spice up any song. 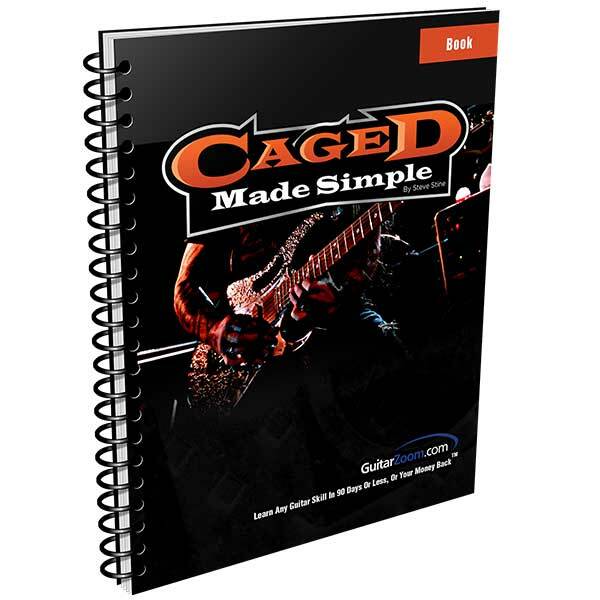 You’ll discover how to transform basic open chords into crowd-pleasing rhythms using easy shortcuts. 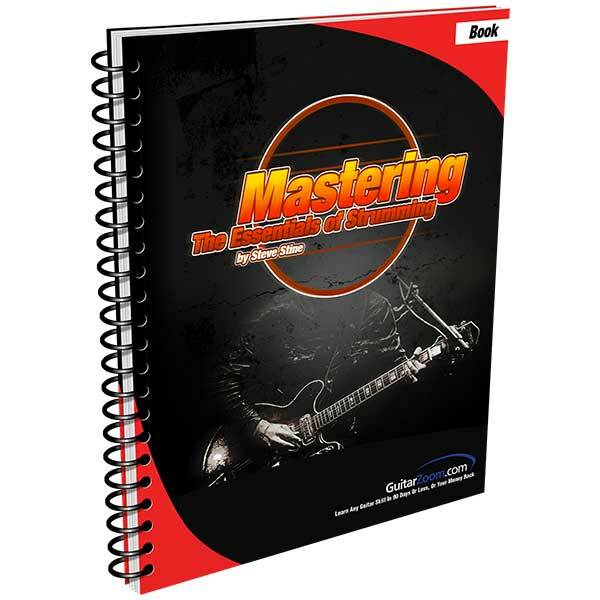 And pro tips and tricks every guitarist must know. 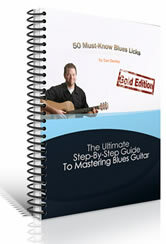 Discover how to turn 5 basic chords into 60 and master the fretboard. 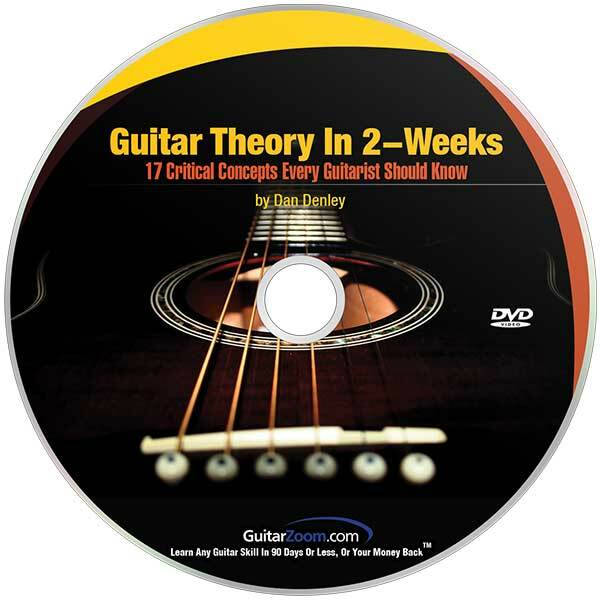 So you play guitar solos without hitting any wrong notes. 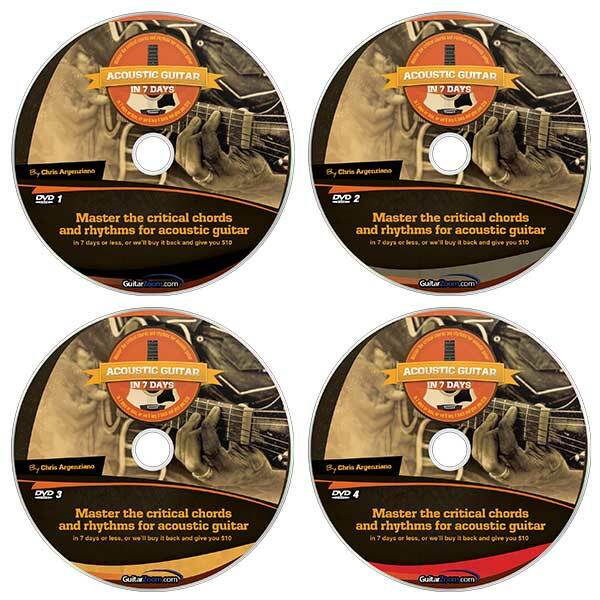 Take your guitar playing to the next level with these critical fingerpicking patterns. 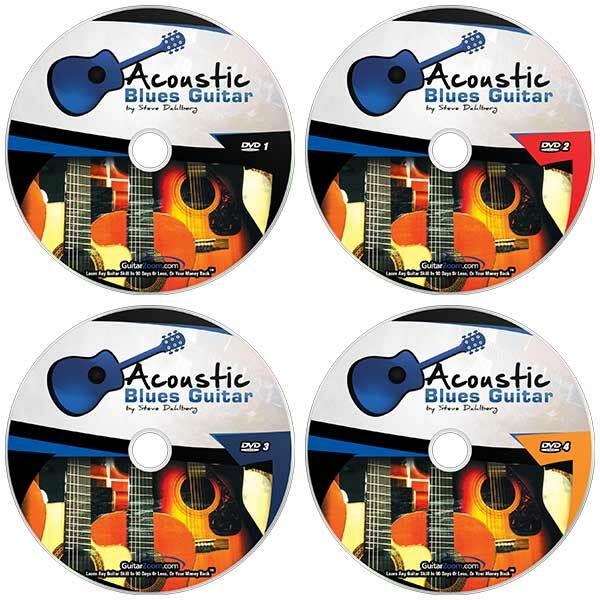 So you can play your favorite rock, pop, folk, country and blues songs. 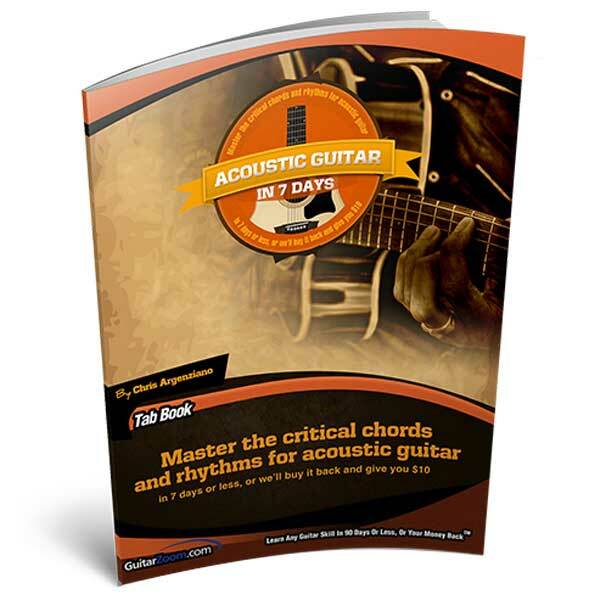 You'll begin fingerpicking using a single chord… Then move on to simple chord progressions. 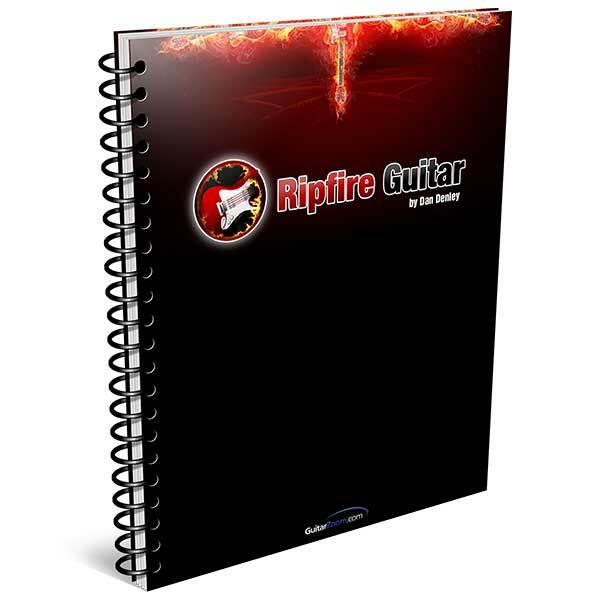 And discover cool tips and tricks that will massively improve your guitar playing. 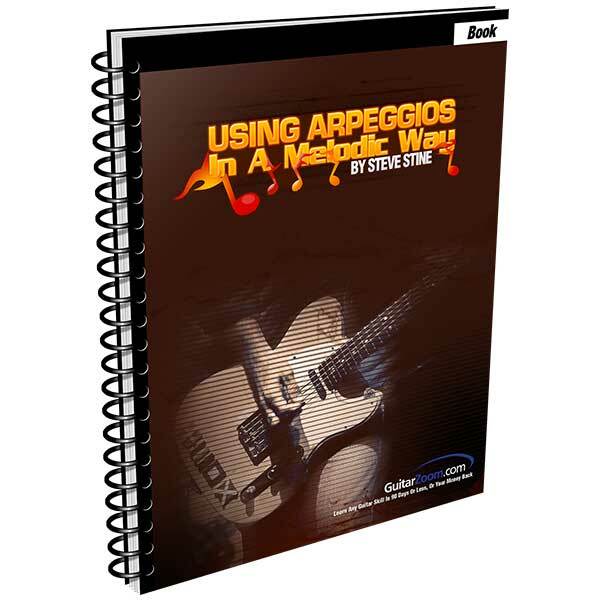 Find out how to start tapping the right way so you can play blazing fast licks for your guitar solos. 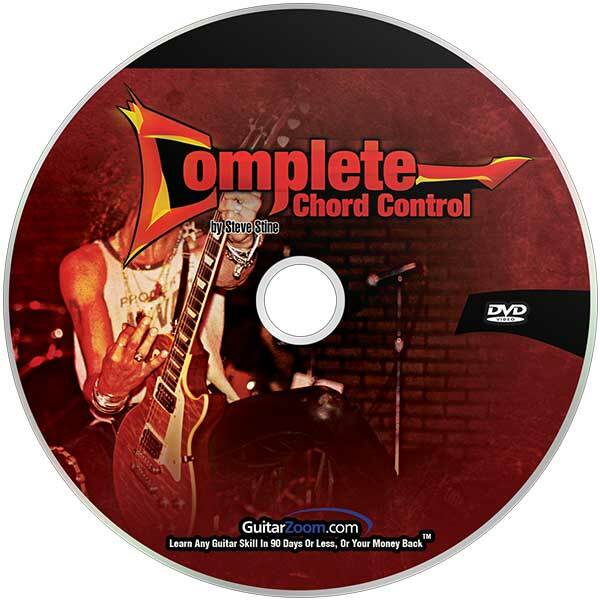 Your quick guide to impressive rock soloing chops. 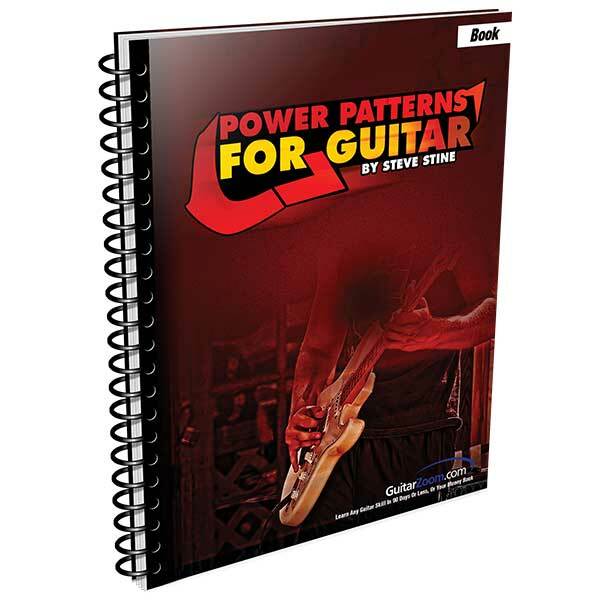 In this course, Steve Stine reveals how to play memorable solos using a catchy, recognizable pattern, how to expand licks to create interesting riffs and lines, and other essential techniques. 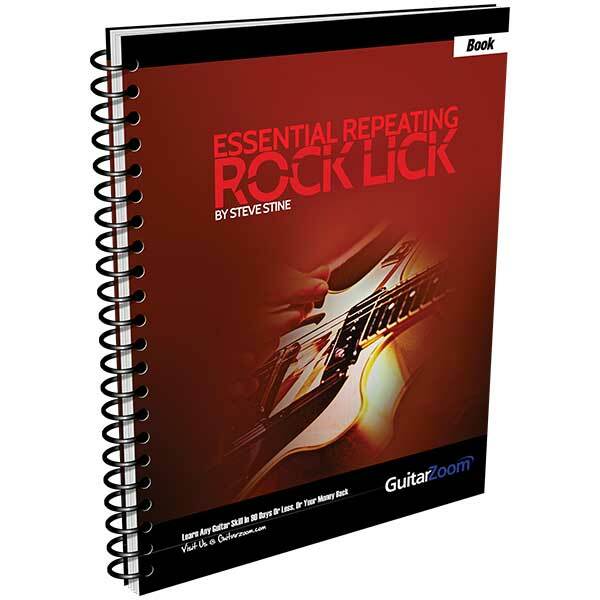 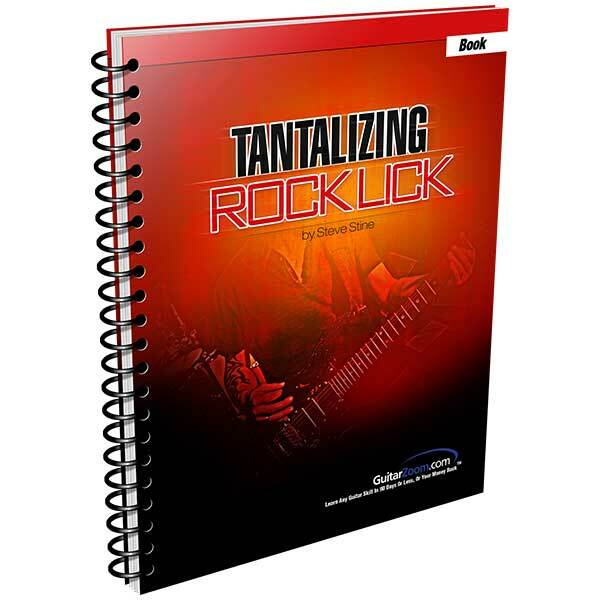 Printed tab book for Essential Repeating Rock Lick. 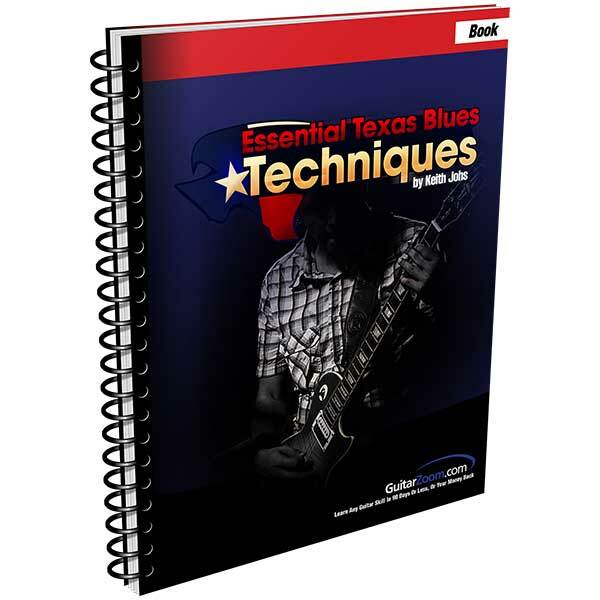 Learn legendary blues licks in the style of Stevie Ray Vaughan, Albert Collins and other Texas blues legends. 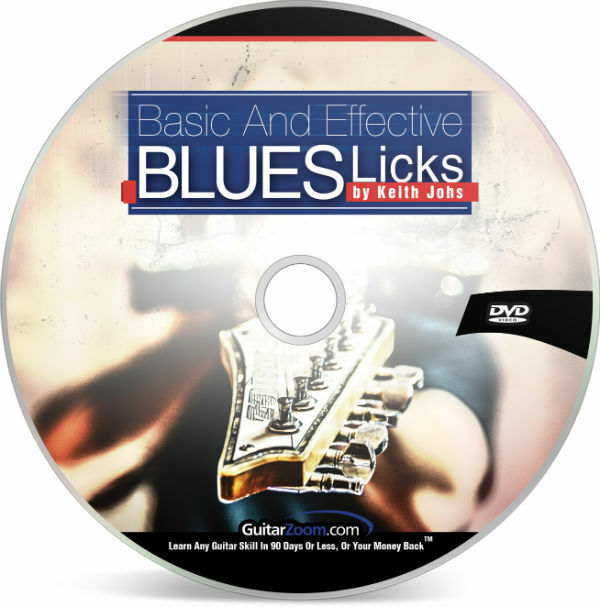 In this course, Keith Johs is going to massively expand your blues vocabulary with awesome minor pentatonic licks. 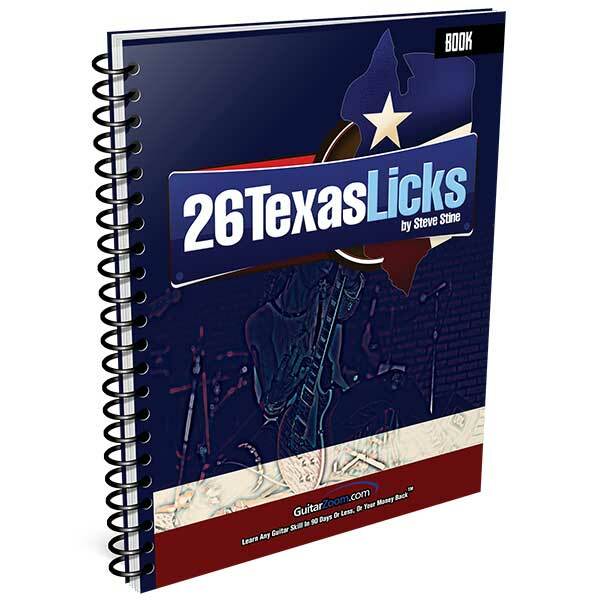 Keith is going to break down each lick step-by-step, so you can use them to create authentic Texas-style blues solos from scratch. 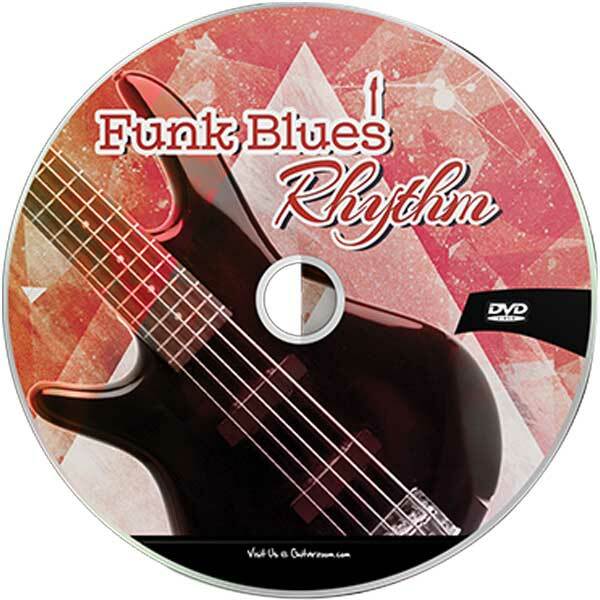 Some of the coolest rhythm guitar parts ever played are found in funk and blues. 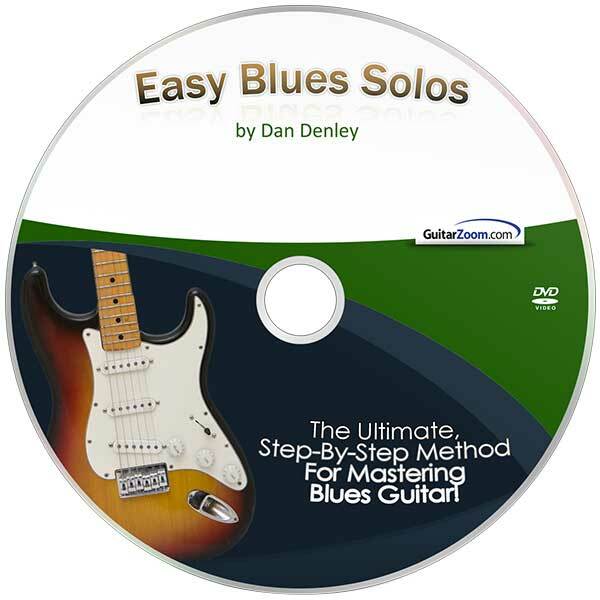 And that’s just what Dan Denley is going to show you in this awesome course on funk and blues rhythm playing. 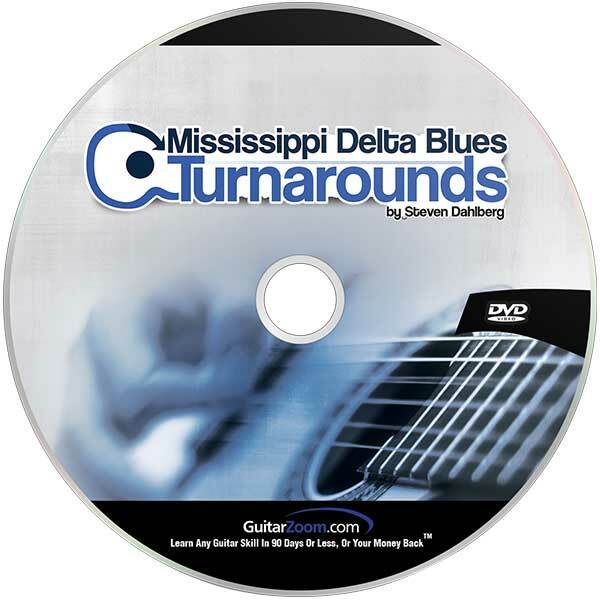 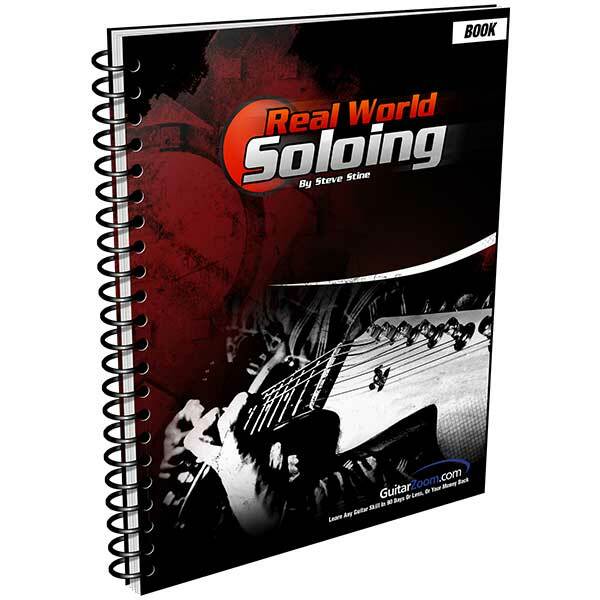 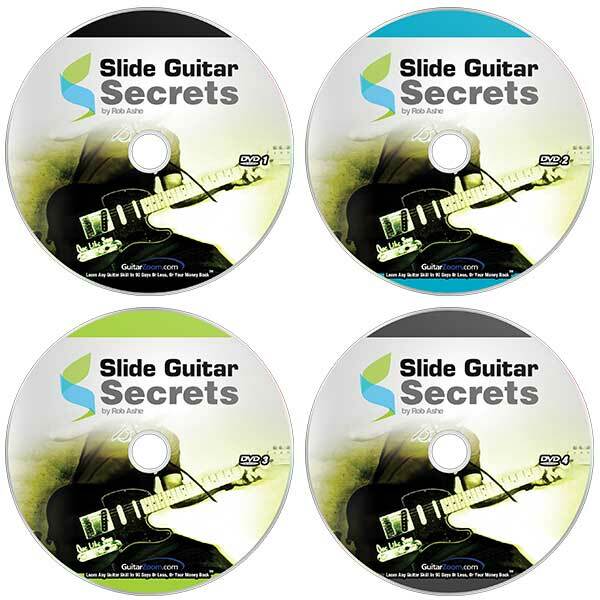 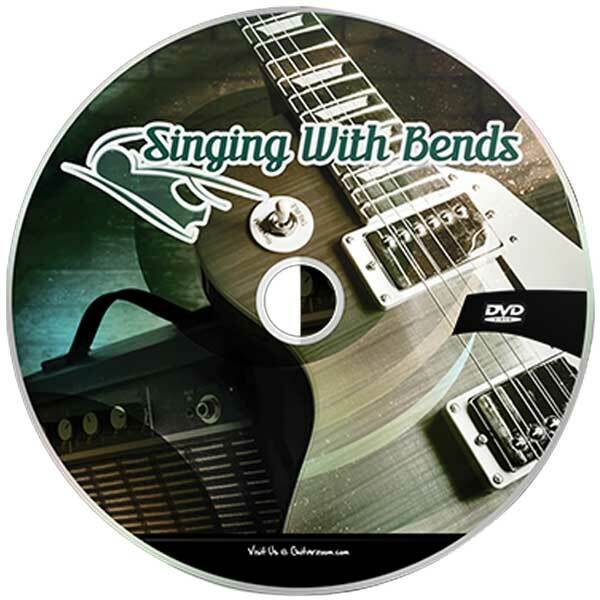 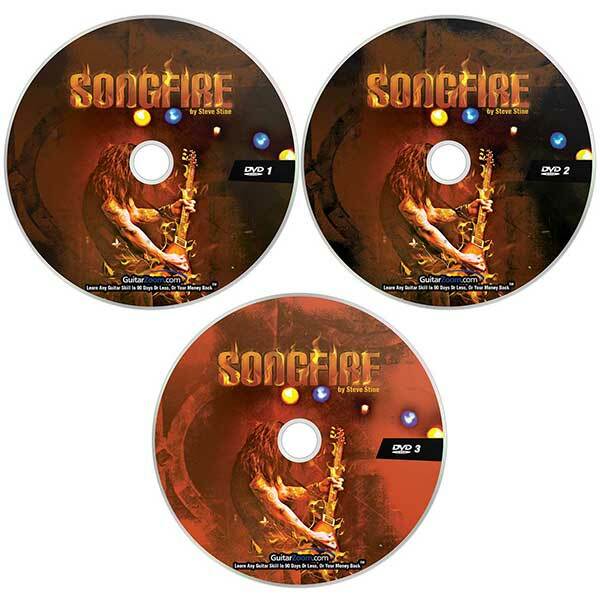 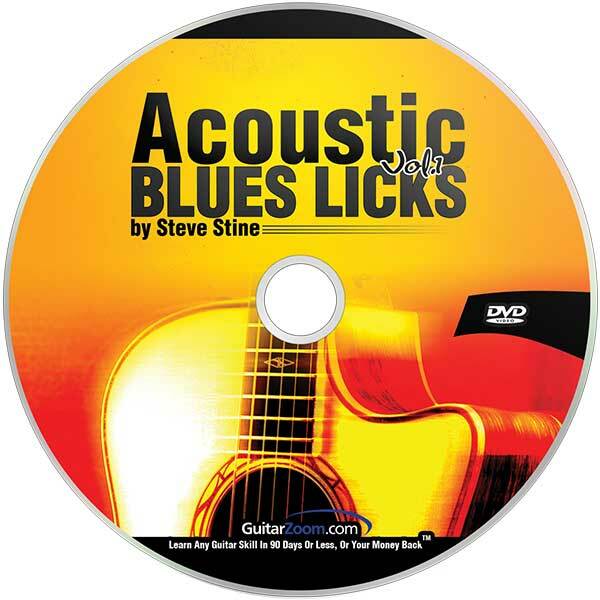 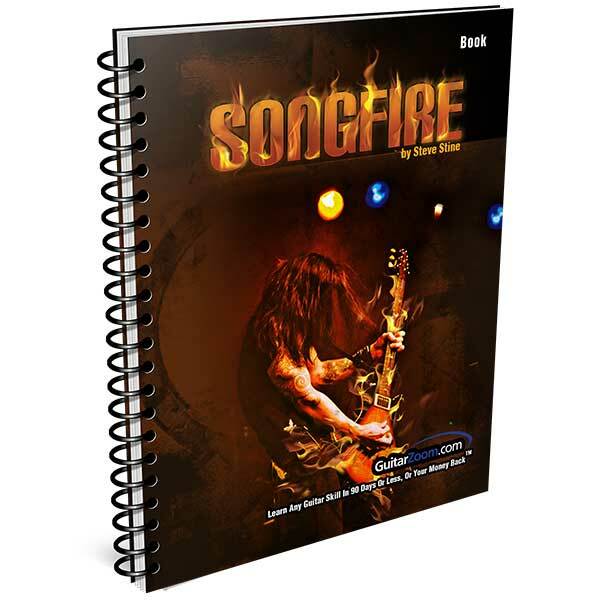 This 11-DVD video coures with printed tab book teaches the basics of playing guitar, from learning parts of the guitar to how to combine chords to make music. 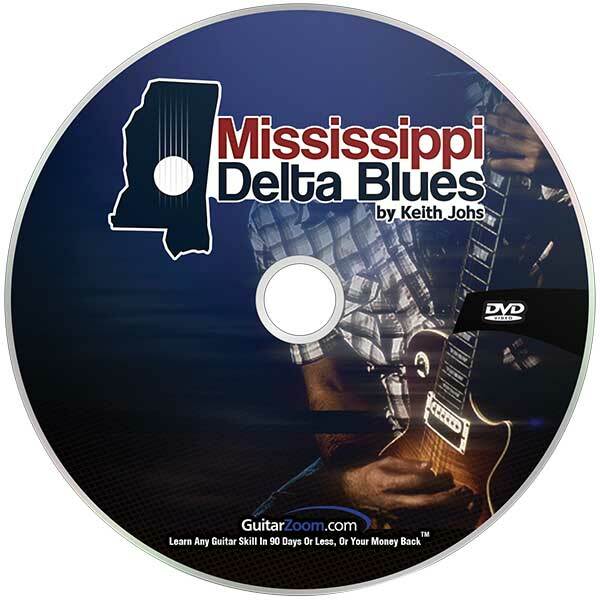 In this course, blues pro Keith Johs shows you how to play in the style made famous by the 3 Kings of the Blues (B.B., Albert, and Freddie). 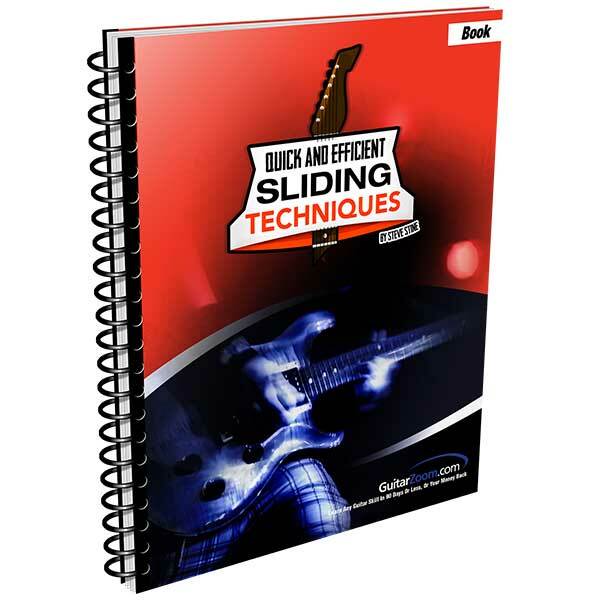 You’ll discover essential techniques like how to combine bends, double stops, and runs to create interesting licks. 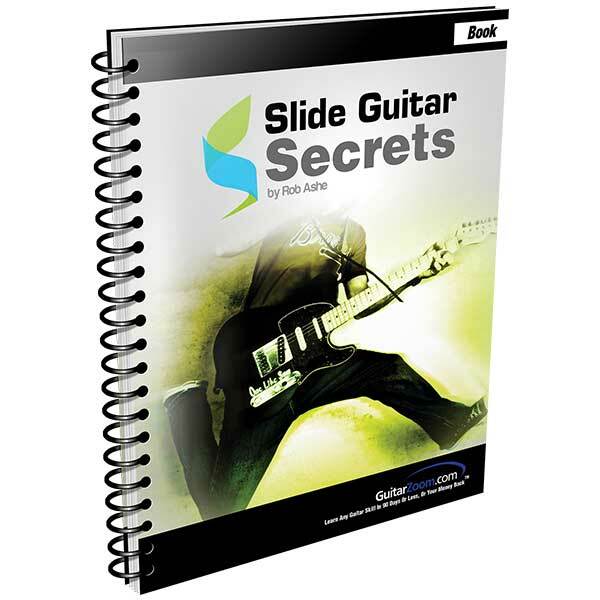 And you’ll find out pro secrets, like why you shouldn’t play licks exactly the same way every time. 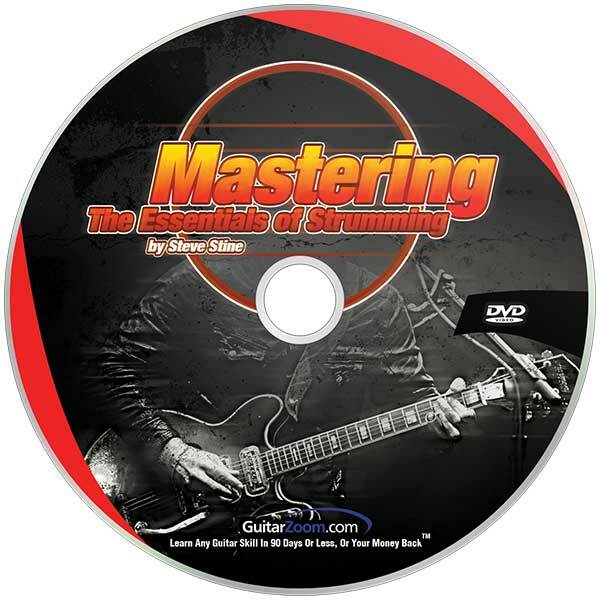 Discover the secrets of effective strumming with this fun and easy course. 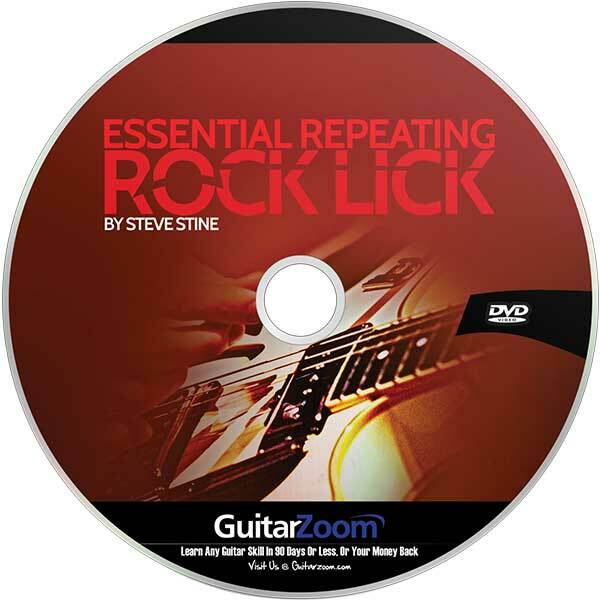 Steve Stine is going to show you a simple way to find the rhythm of any song. 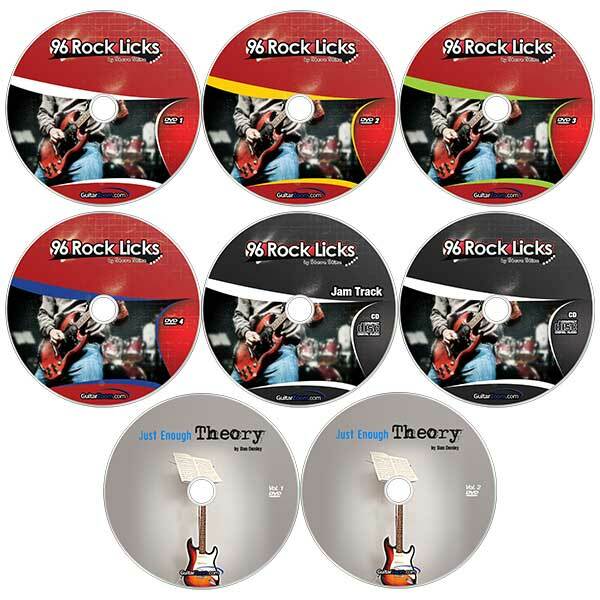 Which means, you’ll always play on the beat and sound awesome. 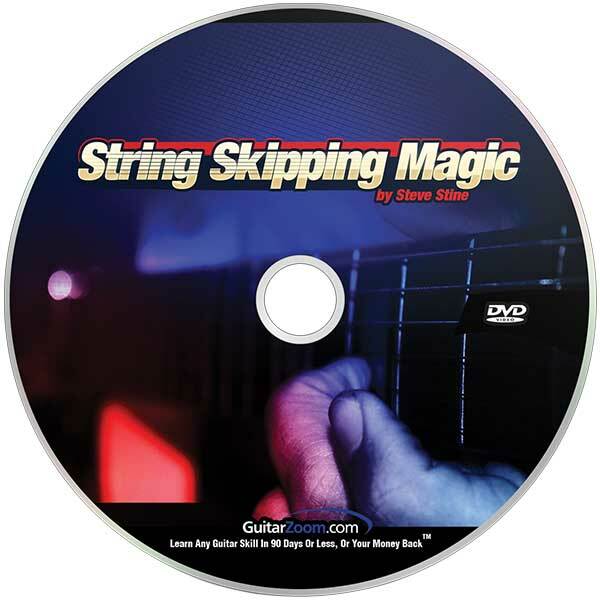 You’ll get 1 simple exercise for effective strumming, plus tons of pro tips on how to practice strumming, so your playing will be fun to play AND fun to listen to. 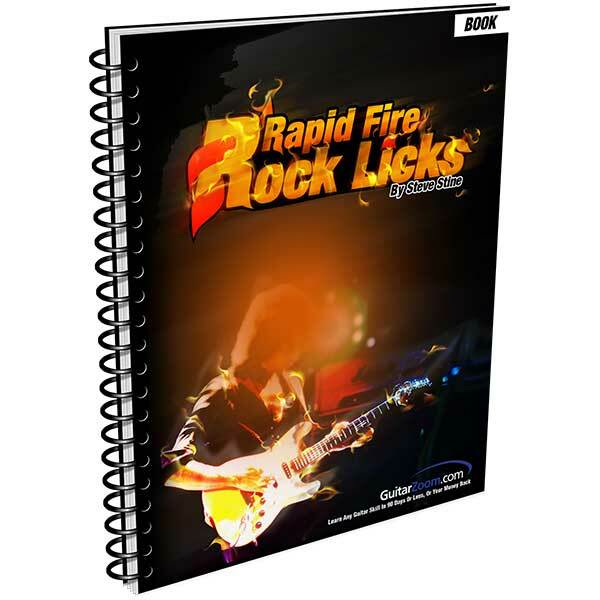 You'll learn an elaborate patterned lick based on the blues scale and use it as a springboard to improvise original and inventive guitar solos. 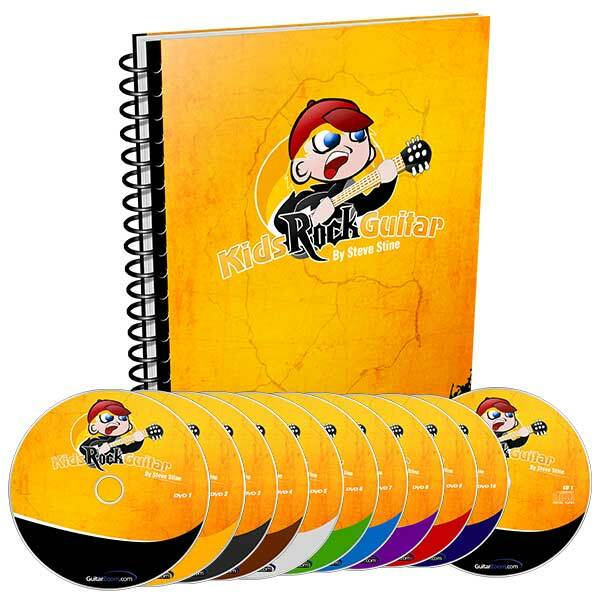 Steve will also share his insights on how you can build speed and how to play leads with incredible impact. 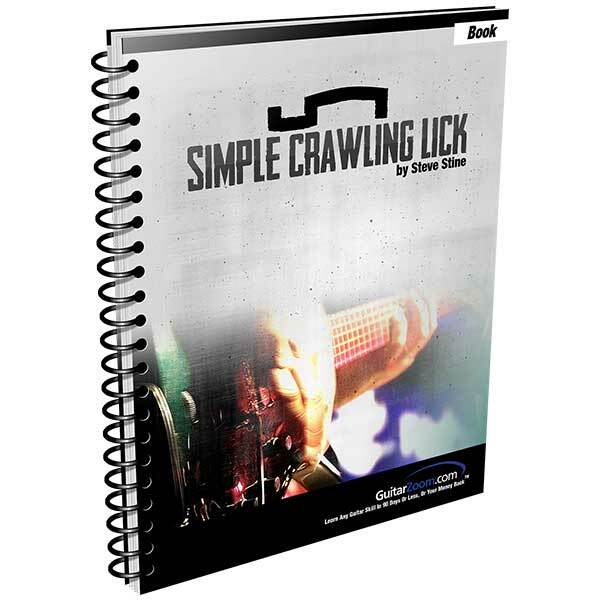 Steve will show you how to perfectly execute pull-offs using open strings and sliding patterns. 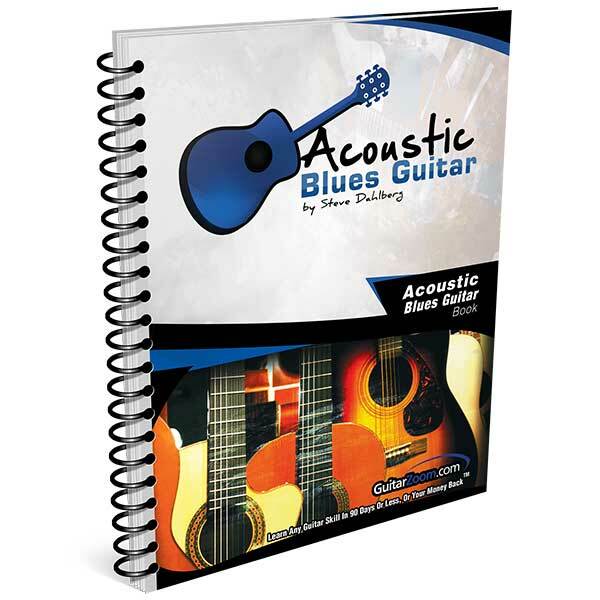 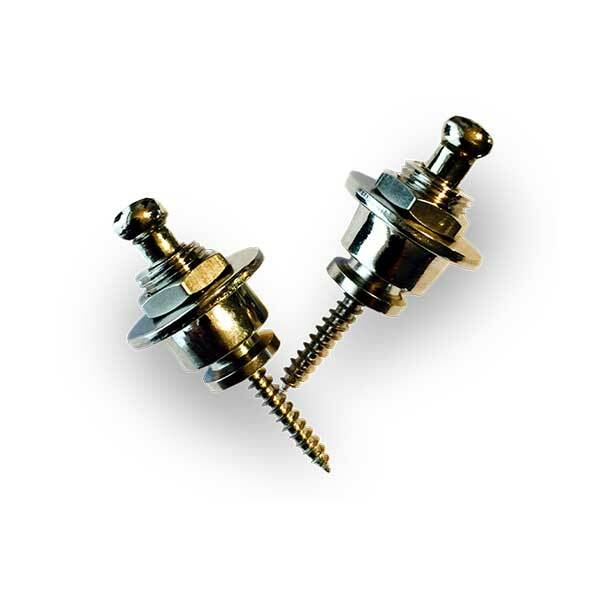 How to get that big “oom-pah” sound to drive your acoustic guitar playing to a whole new level, just like guitar greats Scott Joplin and Reverend Gary Davis. 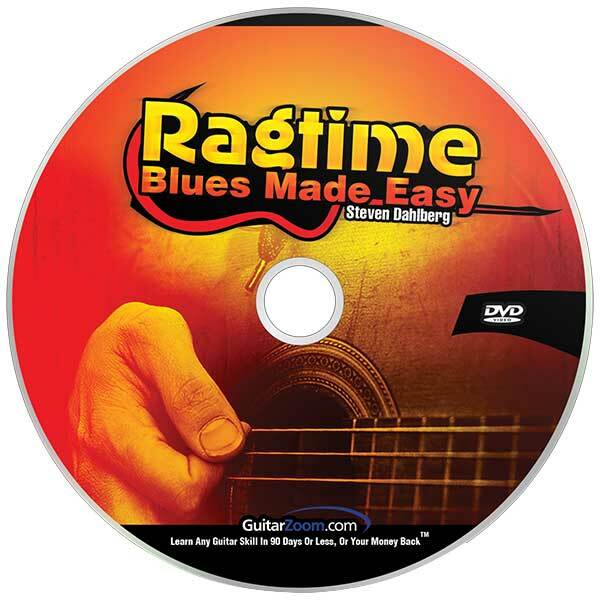 Steve explores Ragtime Blues by breaking down the classic ragtime tune “Cincinnati Flow Rag.” So you can easily play this great solo acoustic style, even if you’ve never played ragtime blues before. 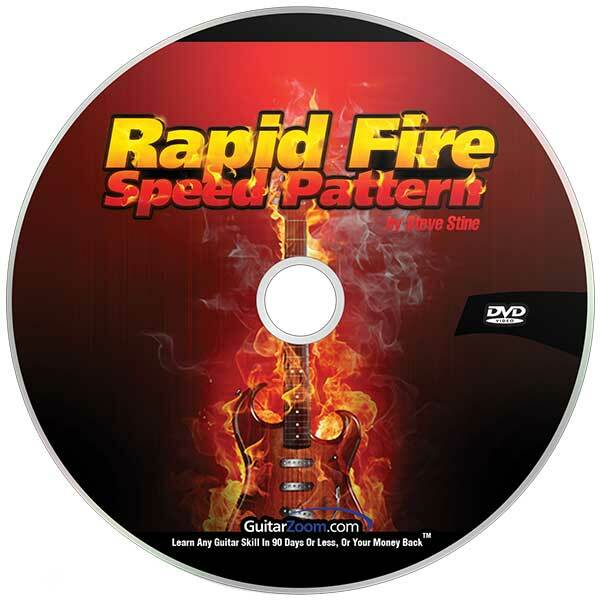 1 killer speed pattern from the G major scale. 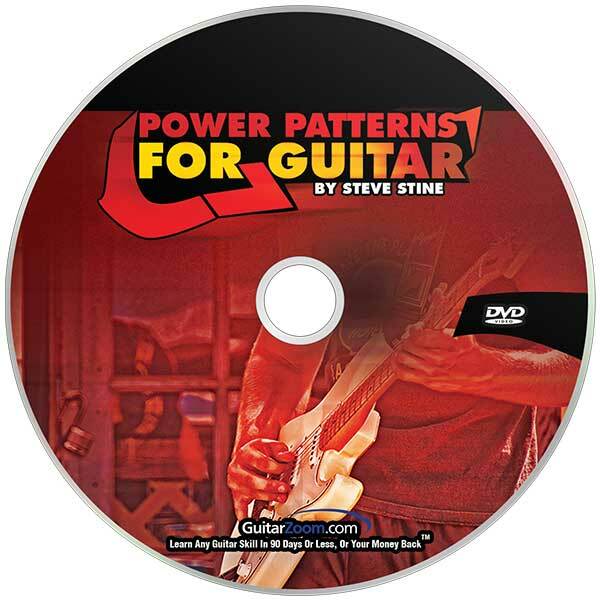 And a string-by-string breakdown of this awesome pattern. 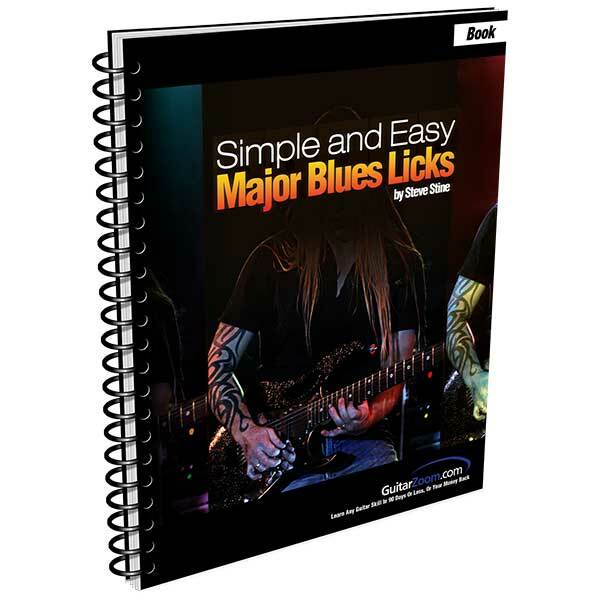 You’ll discover how to create solo licks using just a few notes. 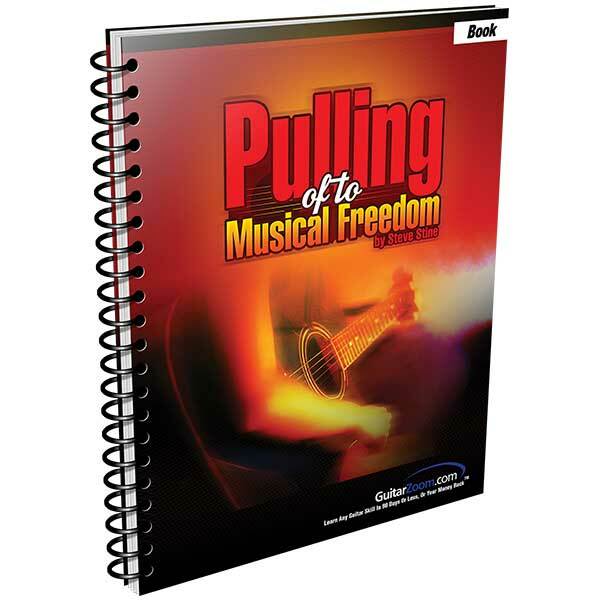 So you can play fist-pumping solos on-the-fly. 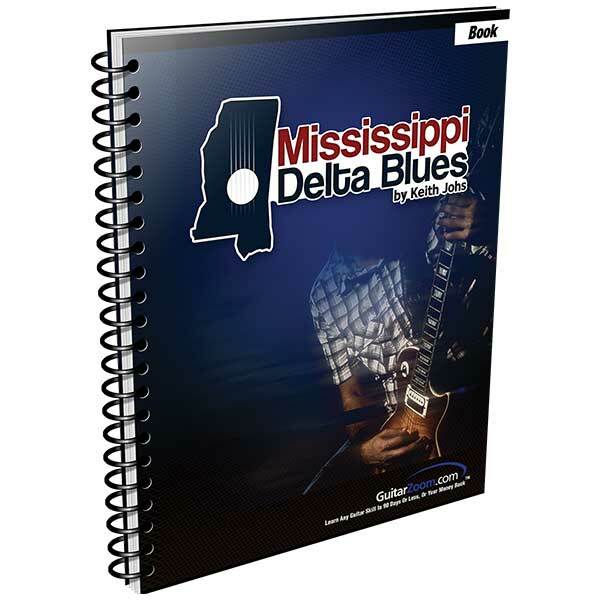 Dan Denley will also show you how to come up with licks from scratch using simple patterns. 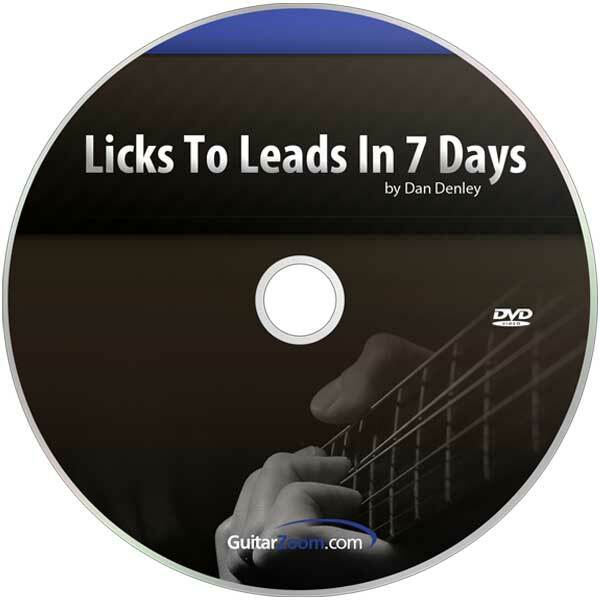 Which means, you’ll be able to play effective leads over any song. 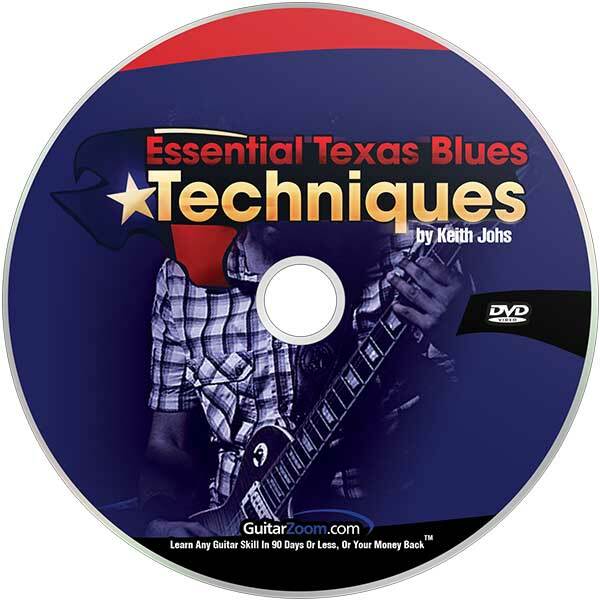 Blues is defined by its distinctive rhythm and sound. 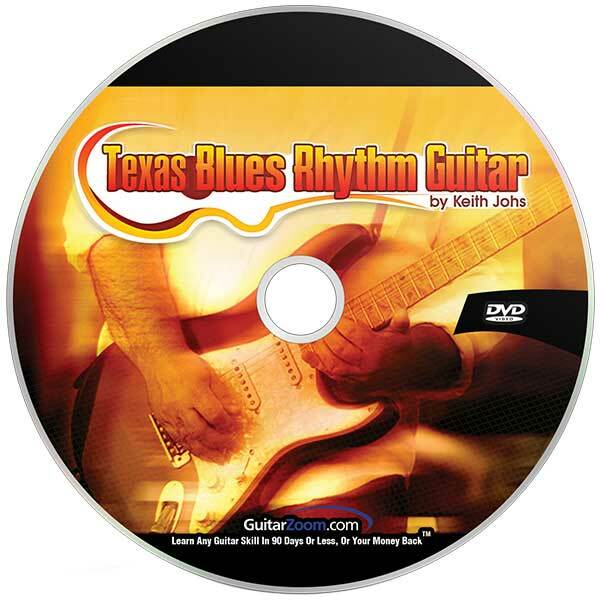 Starting from a basic blues shuffle and standard I-IV-V chord progression, Keith Johs shows you how to play Texas-Style rhythm guitar. 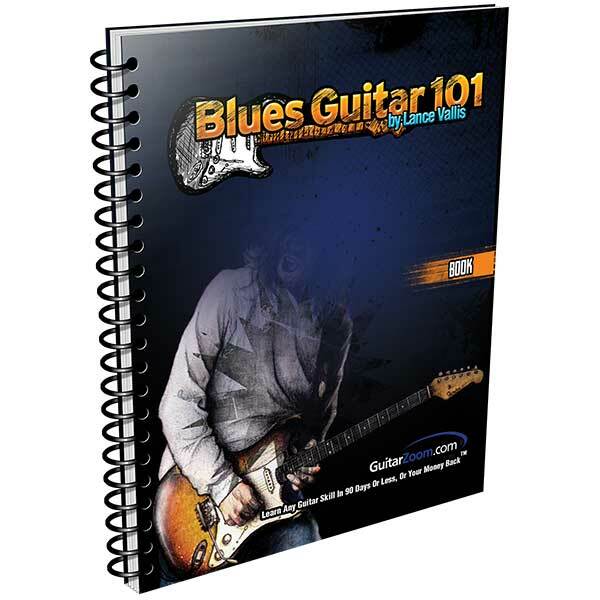 You'll also learn how to embellish a basic blues riff and other awesome playing secrets. 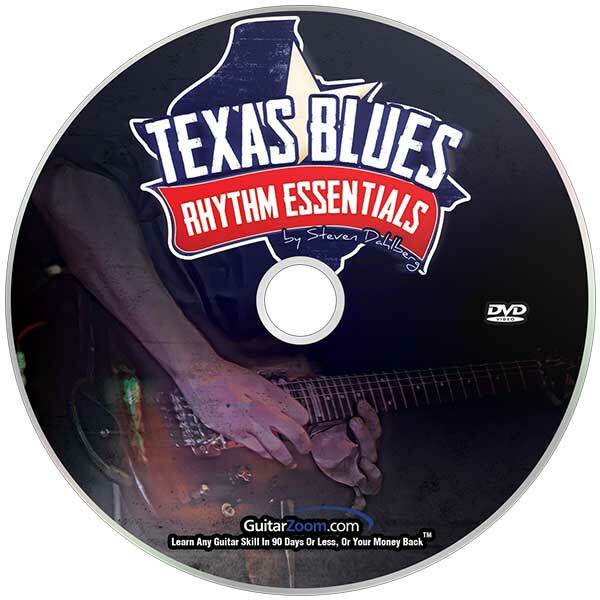 Discover how to play Texas blues in the style of Stevie Ray Vaughan, Lonnie Mack and Johnny Winter. 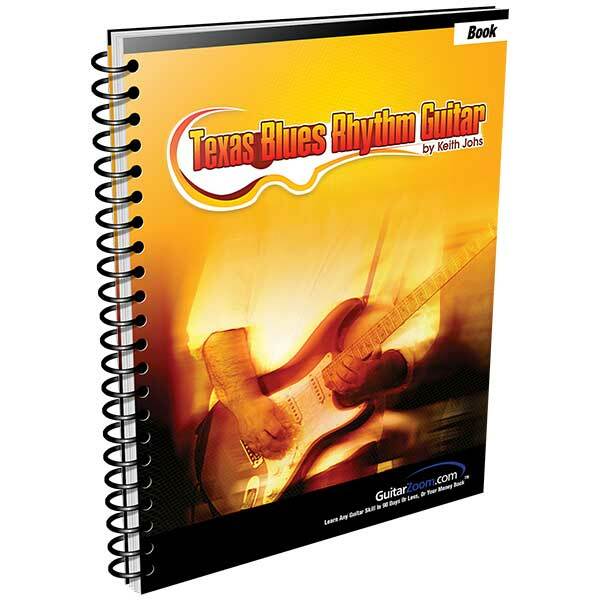 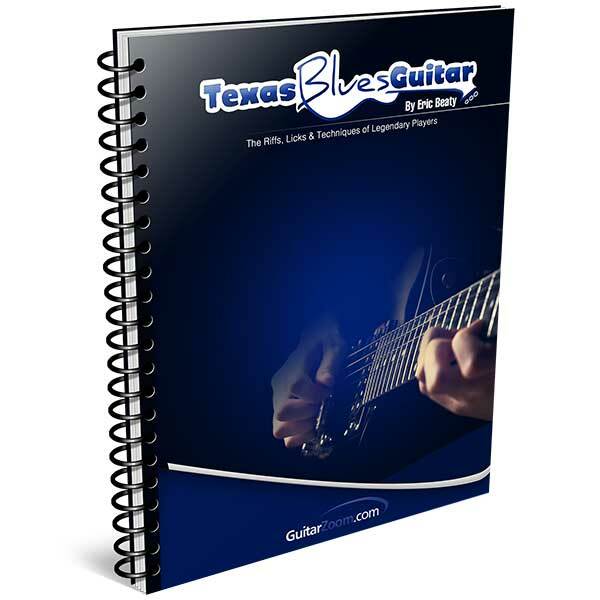 With topics ranging from basic scales to distinct Texas blues licks from Eric Beaty, you’ll be playing like the Texas Blues Guitar masters in no time. 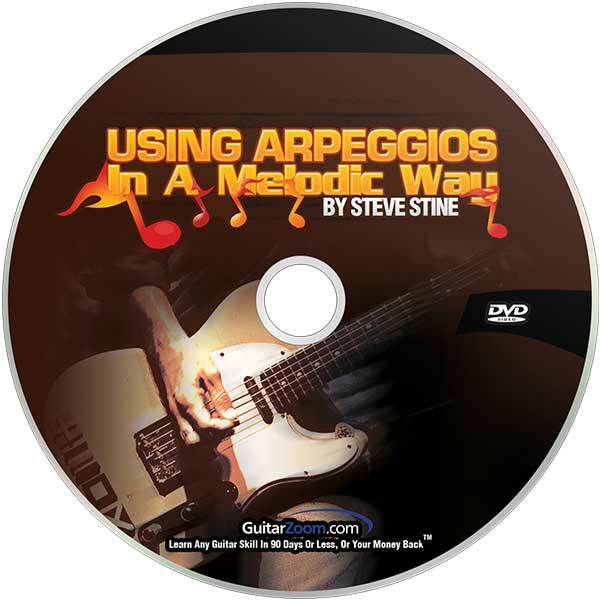 Discover how to use arpeggios in your soloing to spice up your sound and never hit a "wrong" note again.